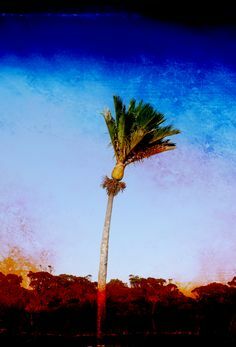 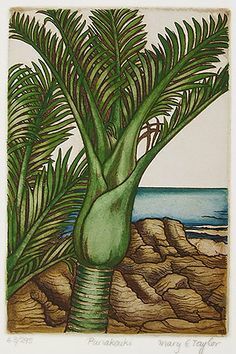 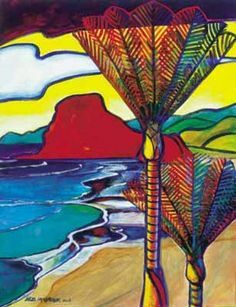 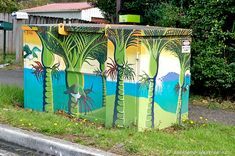 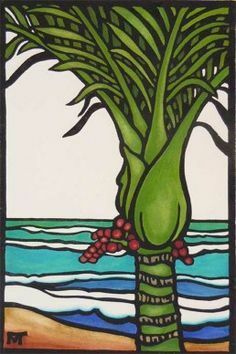 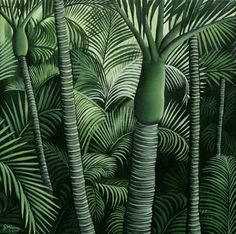 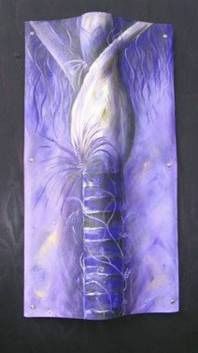 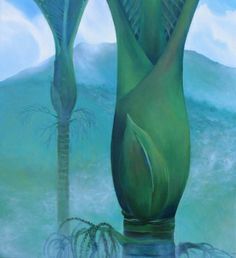 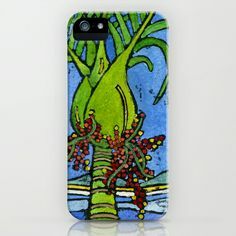 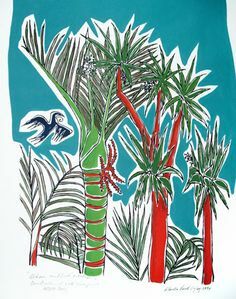 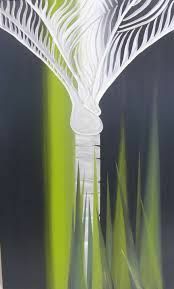 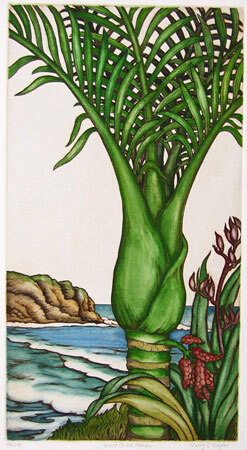 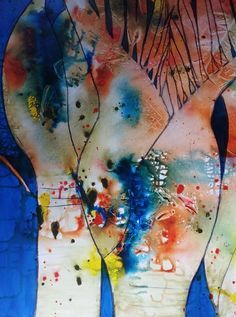 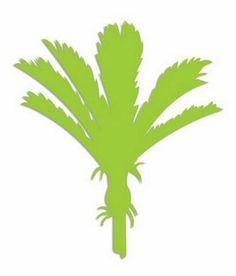 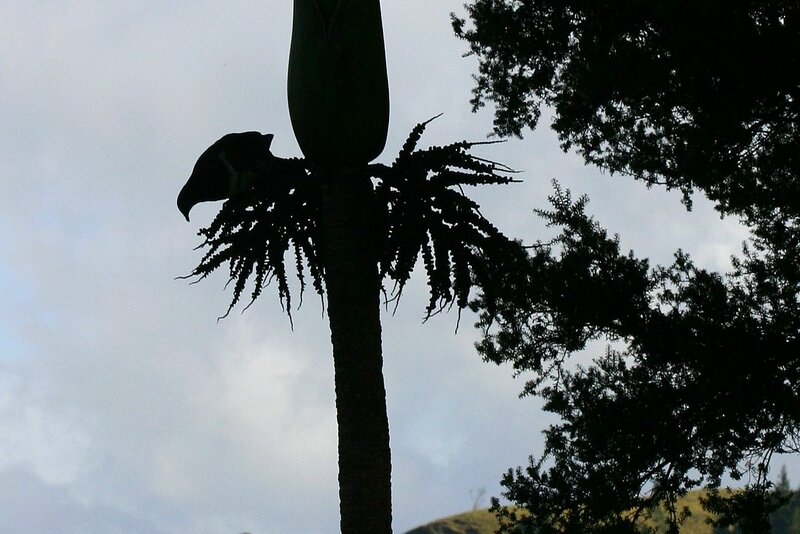 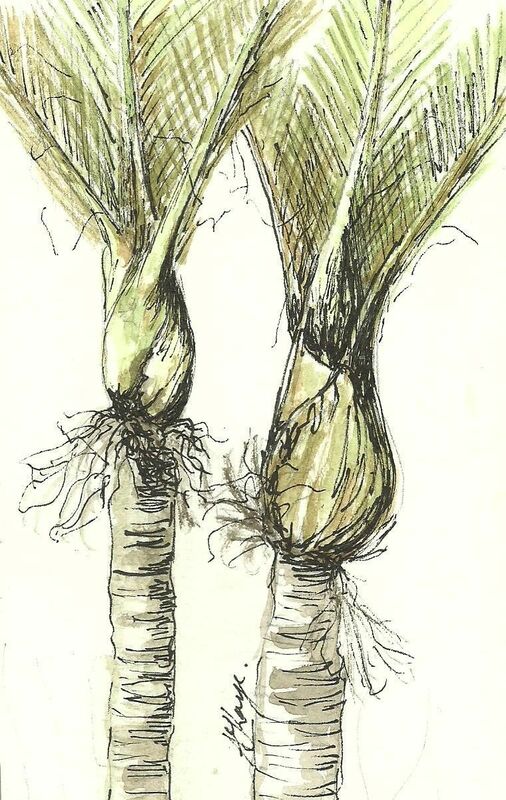 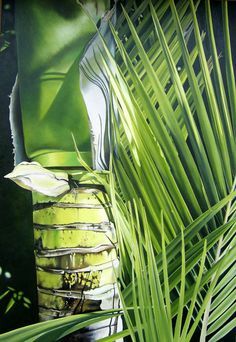 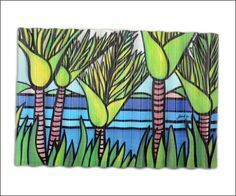 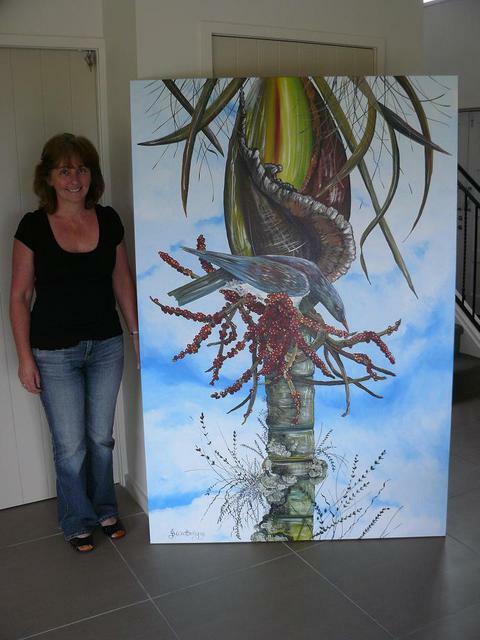 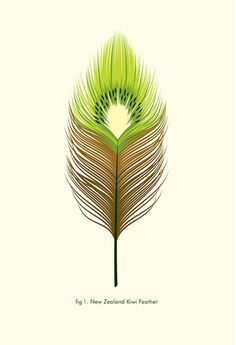 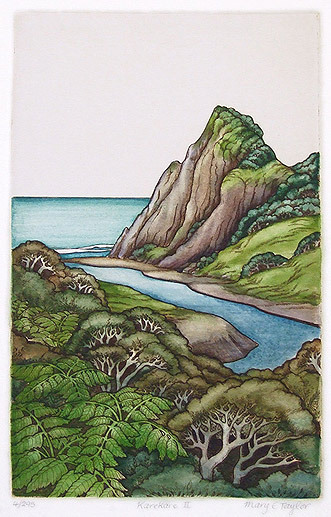 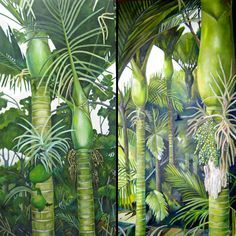 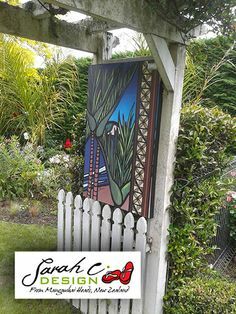 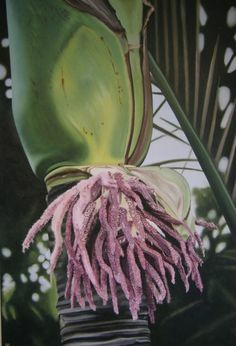 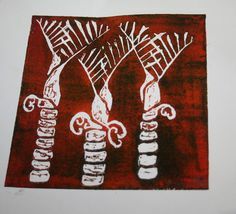 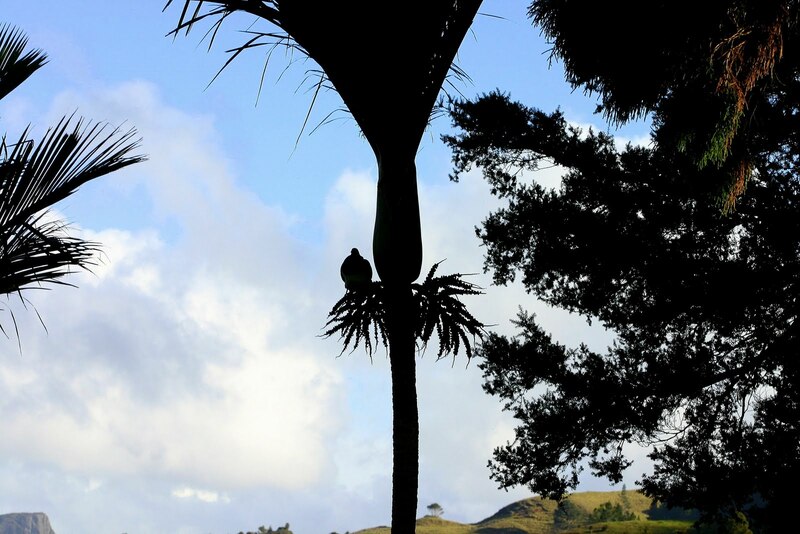 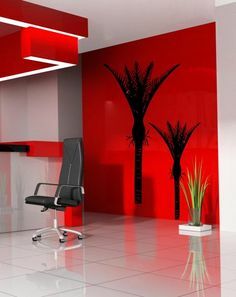 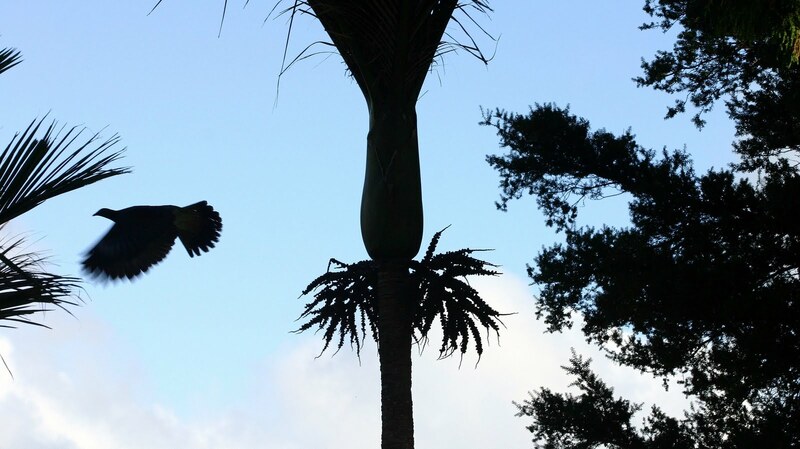 Image detail for -Nikau Palm, Dawn Mann | KAPA, NZ online shopping. 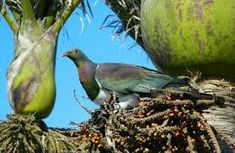 The New Zealand wood pigeon Hemiphaga novaeseelandiae kereru, kukupa, feeding on the fruits of Rhopalostylis sapida nikau palm. 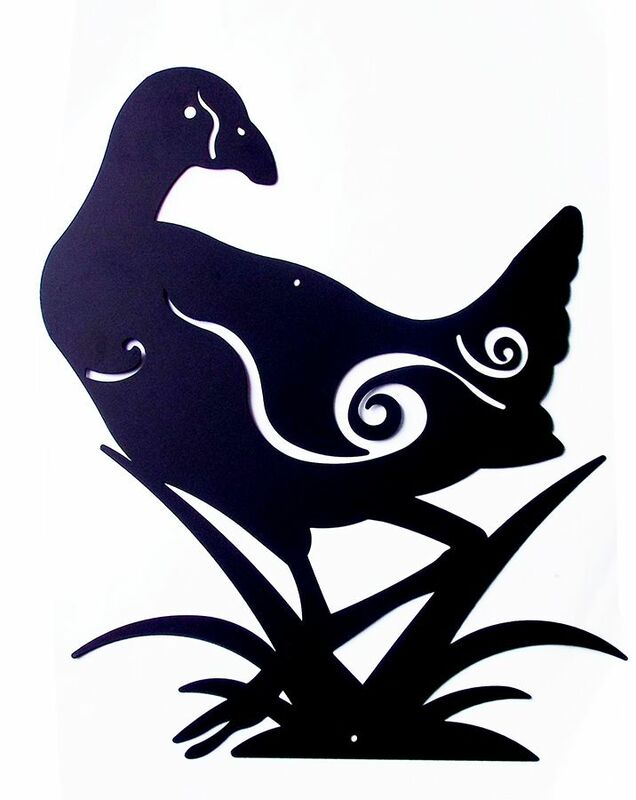 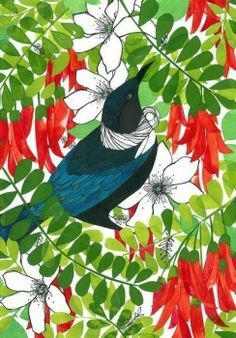 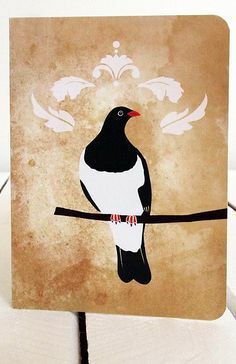 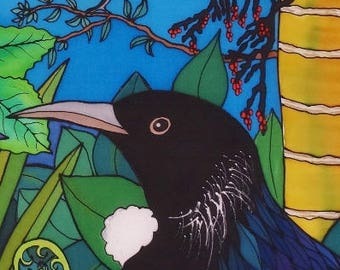 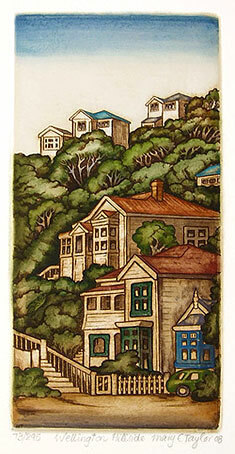 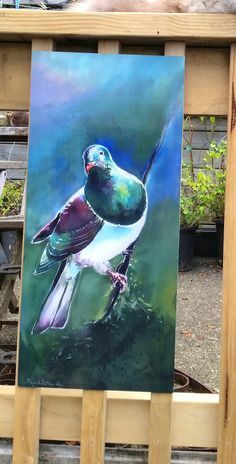 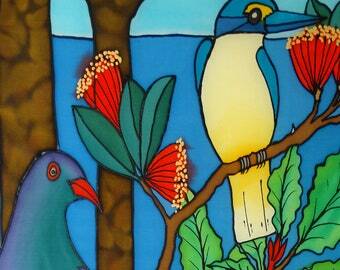 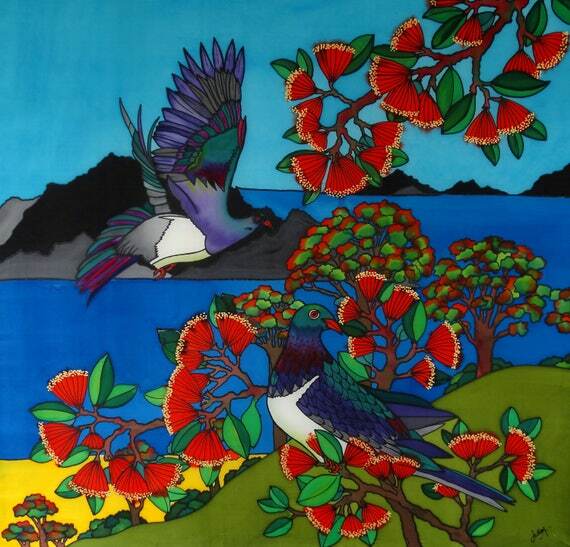 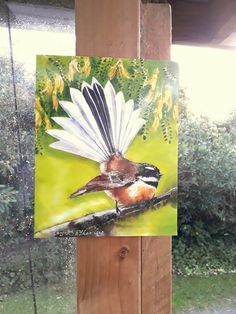 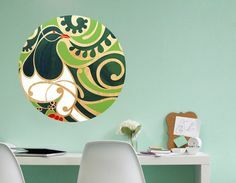 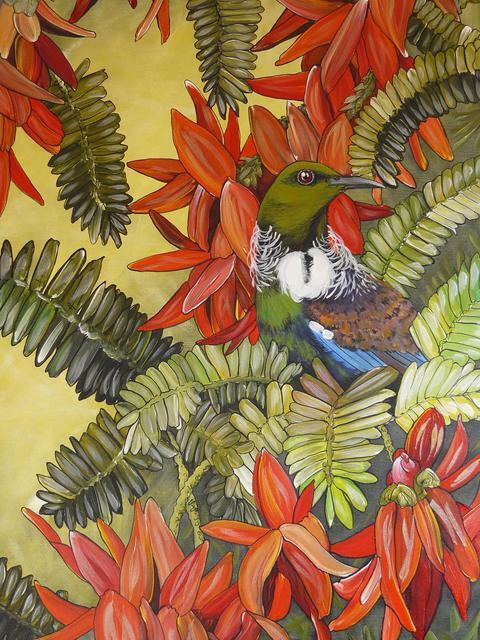 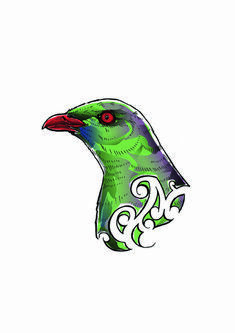 This piece was done along side a few other NZ birds in a style that is simplistic and colourful. 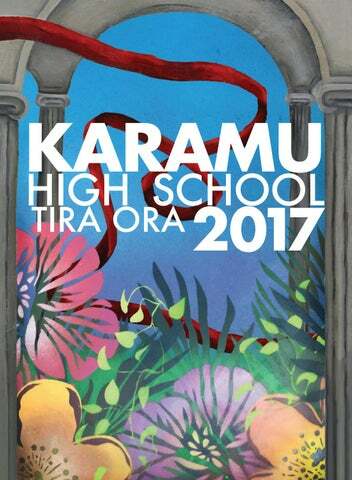 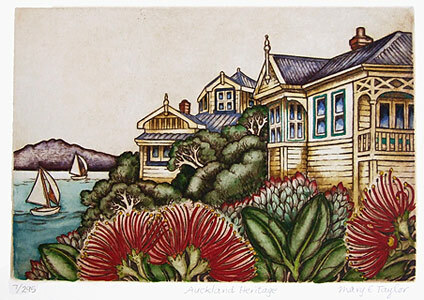 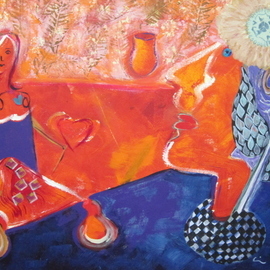 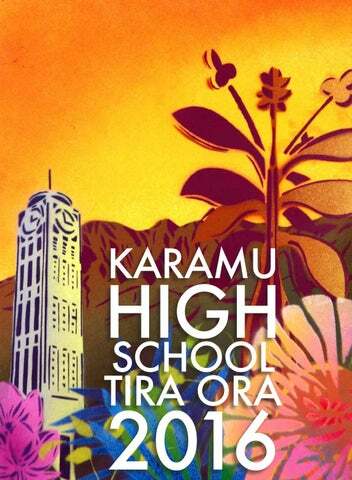 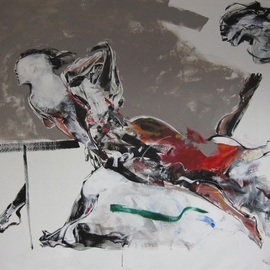 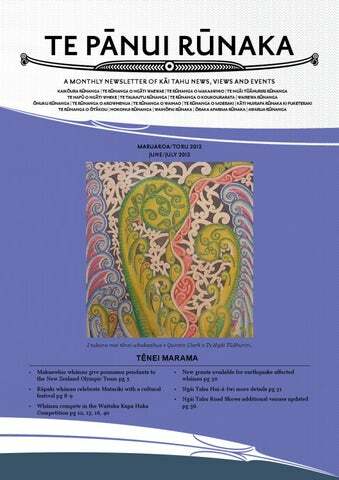 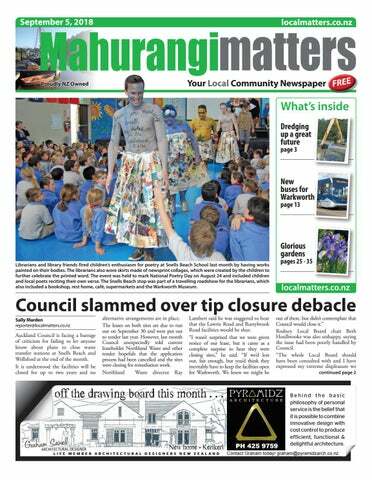 Joel Nicholls – Kura Gallery: Maori and New Zealand Art + Design. 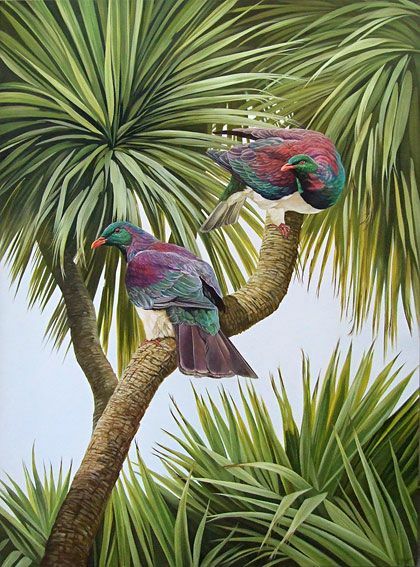 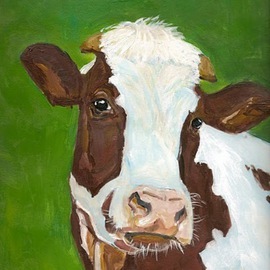 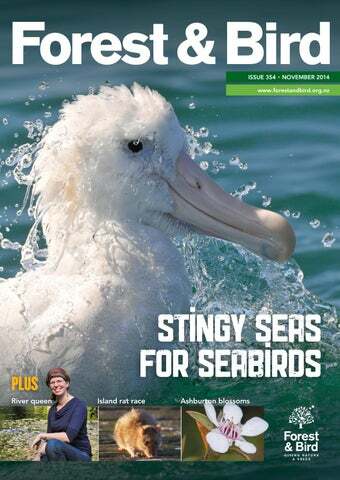 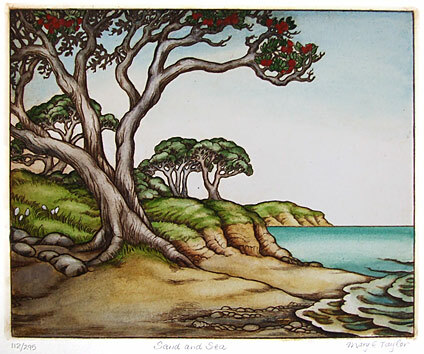 Meeshall Bailes grew up in Taranaki in a small country town and always had a passion and interest in wildlife and in particular New Zealand native birds. 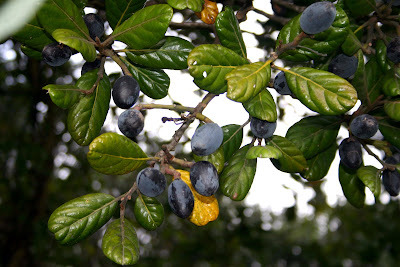 Taraire are fruiting strongly at the moment. 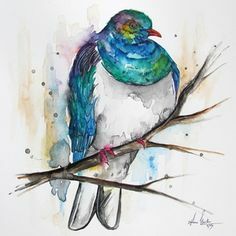 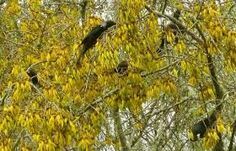 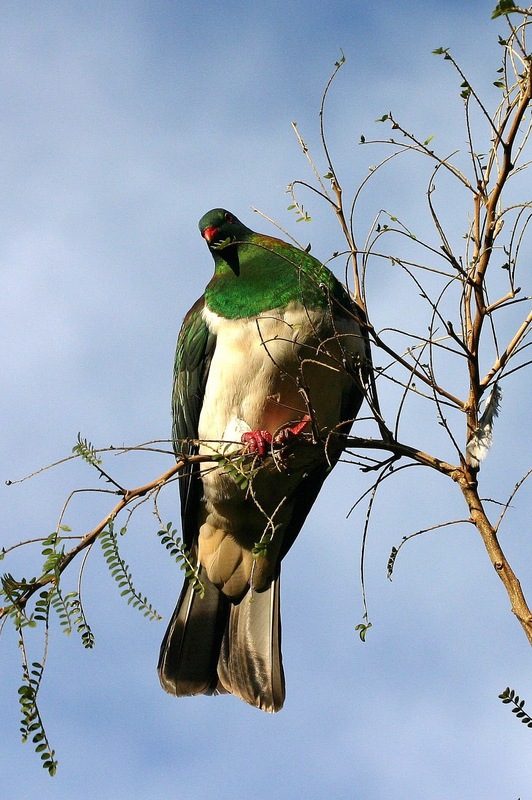 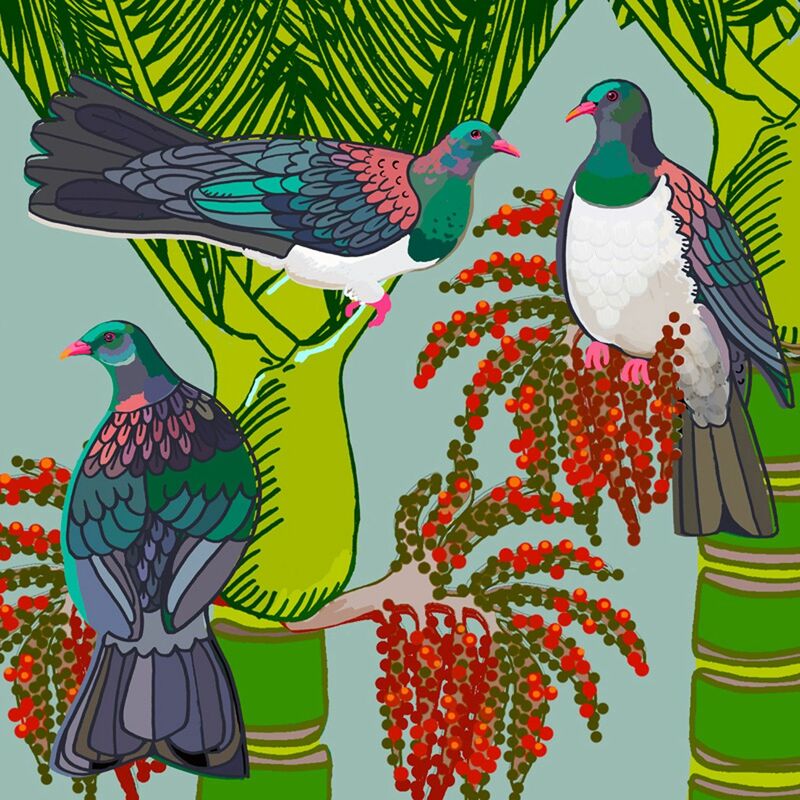 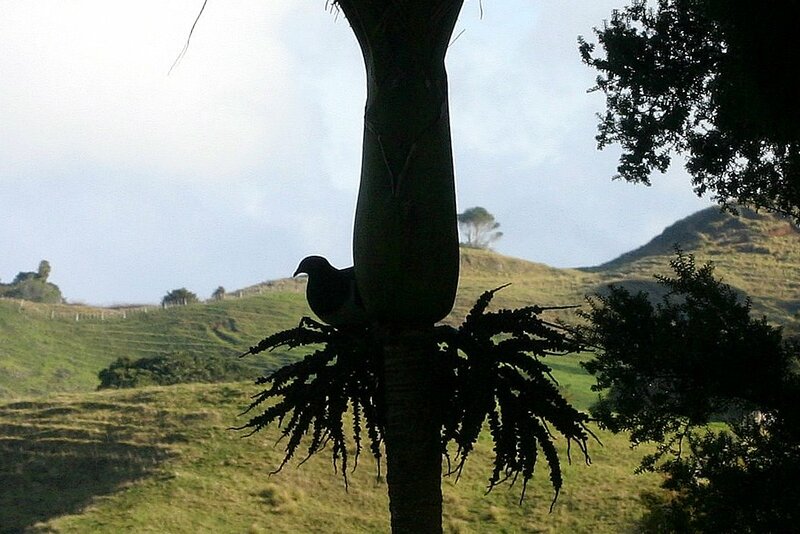 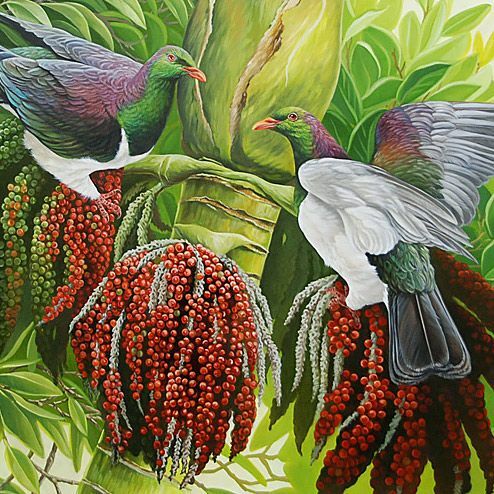 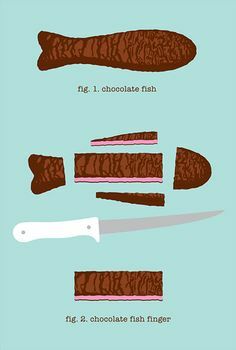 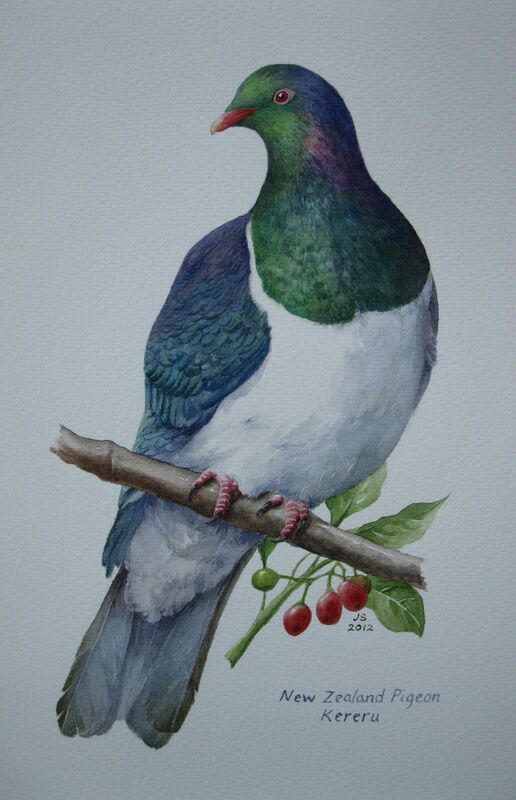 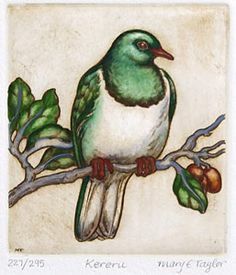 The drupe is a favoured food of kereru -NZ Pigeon.